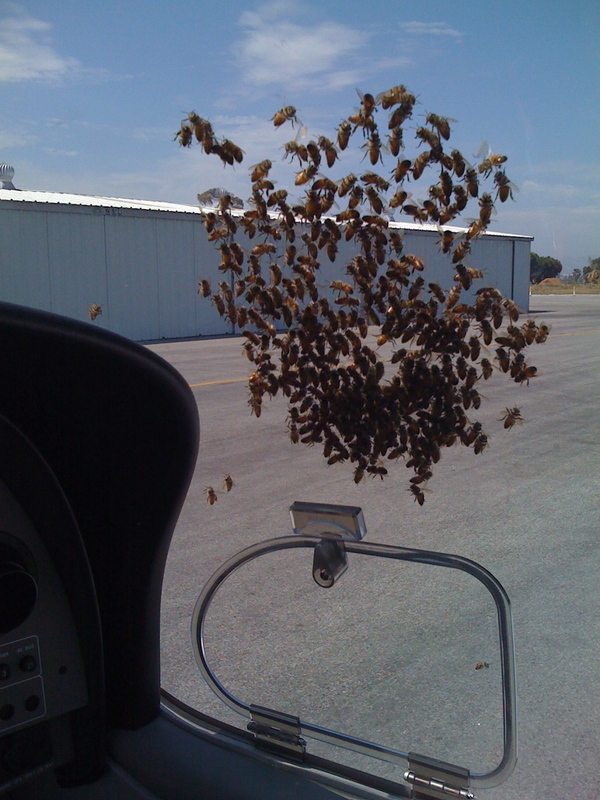 These are the bees that were left when I returned to the plane. Most blew off when I started it up. The remaining dozen stayed on until run-up (the engine is at 2,000 RPM for a few moments). There were two left who hopped off as I taxied to the transient parking area. This entry was posted in Just Words and tagged clean. Bookmark the permalink.